The processor is the most important part of your computer system that is why it is a must to choose it correctly. 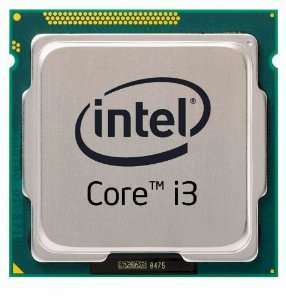 When buying Intel Core I3 processors, the biggest headache is to select between these two processors: Intel Core I3 2120 vs I3 3220 . Both processors are not that different and have many similar features. However, there are many definite differences as well that can help you determining the right choice to purchase. In this article, we will try to present you the most important features of these two processors to help you find the right one. The core I3 3220 performance is better in almost all scenarios except one. In single threaded performance, it beats the Core I3 2120 by 1.04 to 1. In multithreaded performances, it beats the 2120 by 1.03 to 1. It performs way better regarding internal graphic cards to be leading ahead with 1.19 to 1. The core i3 2120 beats 3220 in just one case – when you are using memory intensive applications – by 1.14 to 1. If we compare the I3 2120 vs I3 3220 the I3 3220 is without a doubt the best by far. Now, let’s look at which performs better in the biggest money saving factor of all – power consumption. In power consumption too, Intel Core i3 3220 performs better. It beats the Core i3 2120 by 10 watts. In power consumption, i3 3220 takes 55 W of power whereas i3 2120 takes a power of 65 W. Using Core i3 -3220 could reduce your annual home energy cost by at least $ 2. The savings could go even higher if you are using a commercial connection where you will save around $ 8 just by using it, in terms of power consumption, in this I3 2120 vs I3 3220 comparison the latter definitely has the upperhand. After power consumption, let us look at other factors which can help you in making the choice. The Intel Core i3 3220 can perform at temperatures as high as 69°C whereas the maximum temperature at which core i3 2120 can work is 65°C. If you are concerned about the number of displays which you can have with a processor then the core i3 3220 is also better than the 2120. It can provide simultaneous displays at three locations whereas the core i3 2120 can only provide it on two. The last factor that could help in determining between the two is pricing. Let’s see how these processors perform on that. Pricing is the only spot where core i3 2120 looks better than Core i3 3220. You can buy the 2120 processor on Amazon at a very low price of ~$ 120. The price of core i3 3220 is a bit higher than that. It will cost your pocket around $ 130 at Amazon which is only +10$ than the 2120. Overall, if you want a processor that could perform better on most of the tasks that day to day users do – like playing games, watching movies, using photo editing software’s – then core i3 3220 is better for you. While if you are a fan of saving the budget or you do not have that much amount of money, then core i3 2120 will be the right choice. It all depends on your choice and reasons, however after this I3 2120 vs I3 3220 comparison we can definitely recommend you to pay the extra 10$ and get the I3 3220 it’s far better and a great upgrade for only 10$.